Hey guys! How’s your summer going so far? Has it been flying? Ours is going by so quick and we already start school in a few weeks. Pretty crazy, but the kids are excited. Can’t say I feel the same because I love our time together, but having school starts also means the holidays are fast approaching and that makes me pretty giddy (I’m crazy, I know!) Speaking of things that make me pretty giddy, I’m SO excited to share another delicious dessert recipe with you today that is AMAZING!!! This recipe for Lemon Lasagna will seriously knock your socks off. It’s one of those “layered” treats that has so many levels of delicious-ness. I’ve never been huge on lemon desserts, but things have changed and now I can’t get enough of them! My White Chocolate Lasagna has been a favorite, so I knew a Lemon version would be great. I’m thinking I’ll have to try other versions like cherry and strawberry soon because the layered desserts are a favorite of the family’s and are perfect for get togethers. As I mentioned, this is a layered dessert, hence the reason why it’s called lasagna. This has a Lemon Oreo base, cream cheese layer, pudding layer and cool whip layer. Top it with a fresh lemon and you’ll be getting rave reviews from everyone. 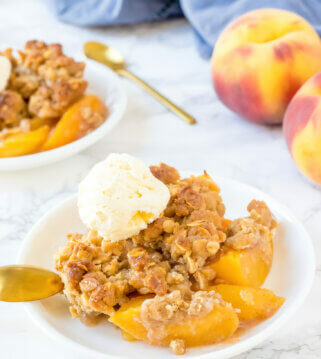 No baking is required for this recipe, and it’s especially perfect during the warmer months since it’s a cool recipe. Our whole family loves this Lemon Lasagna and can’t wait for me to make it again. It’s so creamy and one that everyone will love! Check out those layers!! Even though this lasagna recipe is especially perfect for Spring and Summer, we love making it all year long, but that’s because Arizona is warm all year long. 😉 We really enjoyed it and hope you do too! Lemon Lasagna - 4 layers of goodness including a Lemon Oreo crust, cream cheese layer, lemon pudding layer and topped with cream! It's DELICIOUS! Refrigerate at least 1 hour before serving. Add lemon slices and ENJOY! This lemon lasagna looks scrumptious. Thanks for this easy recipe. Hi Amy!! Thanks so much! We are trying to have as much fun as we can! They love being by cousins now 🙂 Let me know what you think of this recipe! Thanks again! The Lemon lasagna was easy and we love it, delicious! Hi Kristyn! 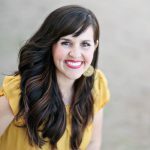 I have loved your blog for a long time! I just posted a recipe for blackberry -Lemon marmalade that you might love, speaking of lemons! It is so delicious. Thanks for all of your great ideas. Ha ha. 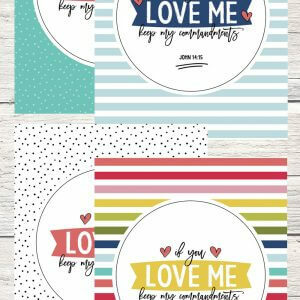 Make that threewinksdesign.weebly.com! Thank you so much Helen!! I will have to check it out!! Thanks again! What a little doll baby! She’s adorable and that face, priceless! This lemon dessert looks delicious and Mel’s face says so! Visiting from Link Party Palooza and pinning to Pinterest! Oh, thank you!! She likes to be right there, tasting everything!! 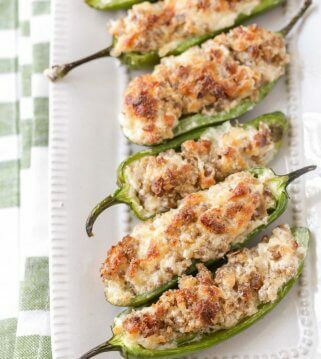 This recipe is one of our new favs!! This looks yummy–I’m making it for company tomorrow. What size package cookies? Just the regular size package works!! We love this recipe and hope your company does too!! Thank you! Regular cooking or the thin?? It’s the regular size cookies 🙂 Hope you enjoy! Not sure what REGULAR means… There is big and small. (can’t remember the ounces) Which one is regular? She was asking whether they were the thin ones or the normal size ones, so that’s what I meant by regular 🙂 I can’t remember the ounces either, but it’s the normal size package, not like the family size (larger) one. Hope that helps you. Silly question but do you take the cream centre out of the cookies before placing them in the food processor? Nope 🙂 Hope you like this recipe!! I’m sorry you have trouble. I have a search bar, that makes finding them easier, than going through all my recipes. Especially, if you know the name of the recipe. I was on your lemon muffins recipe and the name “Lemon Lasagna” called out to me. What a fantastic idea! Can’t wait to try some of your recipes. Everything looks so good. Taking a batch of your Lemon Lasagna to my son on Thursday. I don’t know what I’m missing, but I can’t seem to Pin the recipe for Lemon Lasagna. Nevermind. I finally found it. I’m not used to the ‘Pin it’ button being so hidden. Thanks. Have you considered putting the button in a more conspicuous place? I look forward to making this. I think I will love it. Hi! Looks yummy!!! Could you please tell me what is the size of Oreo package? Thank you!!! I don’t have the ounces in front of me, but it’s just the regular size package. Hopefully, that makes sense 🙂 Thanks so much and hope you enjoy! I just discovered this delicious looking lemony yummy lasagna! But, I have a question, do I take the cream out of the Golden Oreos or leave the cream in there? Seems like the crust would be extremely sweet of the cream was left in. I was wondering that too! I want to make it, but not sure about the cream centers. You leave in the cream 🙂 Once crushed, you can’t even tell there was cream. Enjoy! Nope, you leave it in 🙂 By the time you are done crushing them, you can’t even tell the cream was left in there. I hope you like it! Gonna make this today with the help of my 3 year old great niece ???????? She’ll have fun helping you! You leave the cream 🙂 Hope you guys have fun and that you love it! Do you use the unsalted butter for the crust or the cream cheese mixture? I always use unsalted butter when baking 🙂 Hope you enjoy! Thank you! Hope you’ll give it a try! I’m considering adding some lemon zest to the cream cheese layer, do you think this would be a good addition? Sure!! I’d love to know what you think 🙂 Hope you like it!! Can I use real whipping cream in place of Cool Whip?? Of course!! Let me know what you think 🙂 Thanks! I think what you called instant pudding, I think we call it something different in Australia is that custard or something else? It is like custard 🙂 Hope you have that in Australia or you can look up a recipe, to make a homemade version. Ok, so I bought cook and serve pudding (it was the only lemon kind I saw). Should I make it as the package directs, then layer it on after it cools? Or go back to the store and find the instant kind? I haven’t tried with the cook & serve, but go ahead and make it according to directions & maybe stick in the fridge to cool, then continue in the steps. Hope that helps! Hi, are you supposed to melt the half cup of Butter? I didn’t think I would ever get the butter blended with the cream cheese and powdered sugar. I will be making this today for Mother’s Day. I will let you know how it turns out! I am sure it will be fabulous! Almond milk and soy milks won’t let recipes set. You have to use regular milk. It was fantastic!! It turned out beautifully and was sooo delicious! I made it for Mother’s Day and it was delicious. I used the Golden Oreo’s and added crushed walnuts on the top layer. This will be my new summer dessert. It’s cool and light. People who didn’t like lemons loved this dessert. This was my first time on your site. I’m looking forward to checking out more of your recipes. Oh, thank you so much for stopping by! 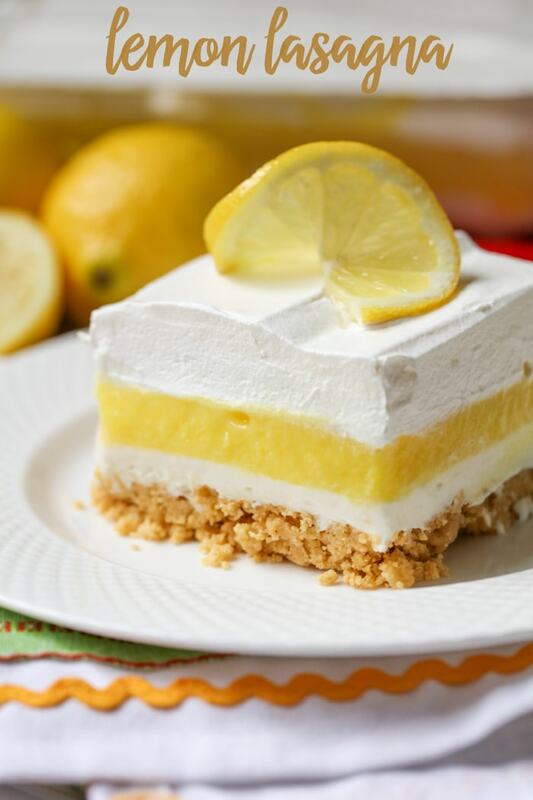 And, I agree…people that don’t like lemon, don’t mind this dessert 🙂 Thanks for sharing!! I made this last night, it was awesome. Thank you !!! Delicious! Yay!! Thanks so much for sharing! I love hearing that! Hi, I love your lemon lasagna! I was wondering if using a good quality lemon curd would work or should I stay with using instant pudding? Thanks for sharing, I’m look in forward to seeing more goodies from you. Do you know the nutritional break down of the Lemon Lasagna? Also can you use to replace the 1/2 cup of butter in the cream cheese mixture? Just seems to be fat over kill. Made it for the first time and like it but think it is fat over the top! I’m sorry I don’t have the nutrient break down. You can use applesauce or vegetable oil in place of butter. I hope that helps! Thanks for giving it a try! Love lemon .can’t wait to try this! Then you’ll love this! It is so good! Let me know what you think 🙂 Thank you! Sounds amazing! Thanks so much for stopping by! I love the use of the lemon cookies as the crust! A think a gingersnap cookie crust would be amazing. This recipe was delicious as is but I can taste that the pudding is boxed. I think I might try a lemon curd next time. 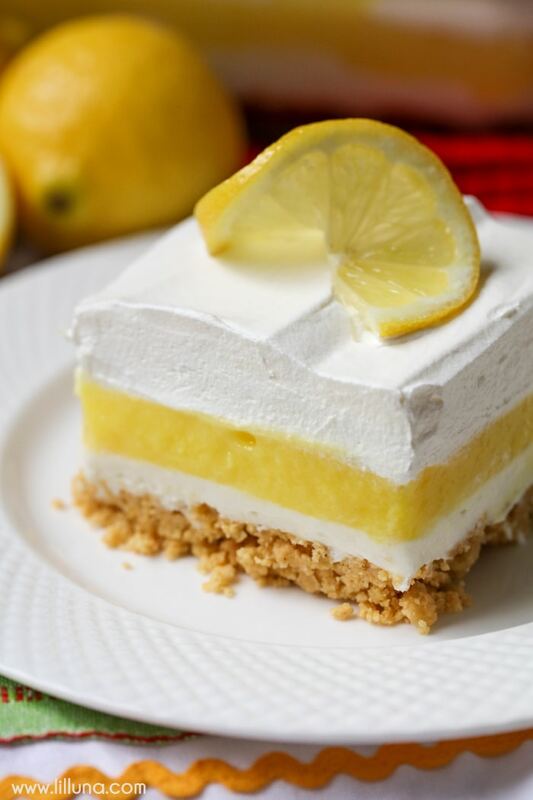 This was a great quick recipe for a last minute get together and the lemon fans loved it! Thank so much for trying it! Gingersnaps would be great! Love your creations and so are my kids :). I would like to make the Lemon Lasagna for the weekend for a BBQ party but here over at the UK we don’t have lemon instant pudding. What can I buy or make on my own instead . Here is a recipe for a homemade lemon pudding…http://www.food.com/recipe/easy-lemon-pudding-21418. I hope that helps! I hope you like it! Try pudding would not thicken. Could it be because I used lactose free milk. Should I have followed pudding directions on the pudding and pie filling? Would a can of lemon pie filling (which I have) work instead of the pudding? I have not tried that, but it might work just fine? I wish I knew…only one way to find out 🙂 Let me know how it comes out..thank you! Can you make a Graham cracker crust instead of cookies? Sure can 🙂 Good luck and hope you like it! I just tried this recipe today and it was pretty tasty. To give it just a bit more tartness I added about 2 oz of frozen lemonade concentrate to the cream cheese mixture. Nummy! I’ll have to try that! Thanks for sharing and I’m glad you liked it! Nope, you crush them together 🙂 You won’t even see the filling once it’s crushed. Enjoy! How well does this keep after it is made This is Thursday and want to have it over the weekend. It should be ok. I haven’t made it that early in advance, just maybe the night before or morning of. Cover well. Good luck! I made the Lemon Lasagna and everyone loved it. I made it using strawberry pudding also and that was just as good. 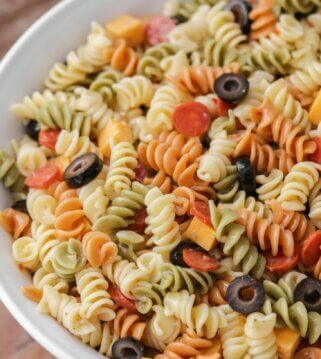 I am going to make this for our annual Italian Festival where I live, can I make these ahead and freeze them? I am so glad to hear that!! Thank you so much! I haven’t tried freezing it before, so couldn’t personally let you know, but I think it should be ok. Hope that helps! Enjoy! The Lemon Lasagna is now one of my family’s favorites! Giving my Mom the recipe as she asked for and my brother, etc. A tasty delight! Awe, love to hear that! Thank you so much!! I’m so glad it’s a hit!! Can I use real whipped cream instead of Cool Whip in the lemon lasagna. I just can’t stand cool whip. Yes, of course 🙂 I hope you like it! LOL!! I’m glad they do!! Thank you! If you love lemon, then you’ll need to try it! Thank you! Haha!! Luckily, there are many options for crust 🙂 Thank you! Looks yummy to me,can’t wait to try it.Thanks for sharing. It is super yummy! I’m glad to share 🙂 Hope you like it! The lemon lasagna looks really yummy. I’m going to make this and hopefully it taste as good as it looks. Let me know what you think 🙂 I hope you do like it! It’s so refreshing & good! It’s very easy and tasty. The second time I made it i tweaked a couple parts to make it more to my taste. I doubled the amount of Oreo crust. And instead of lemon pudding I used lemon pie filling. It was much tarter. Love that you changed it to what you like! 🙂 That is what I love about cooking/baking. Thank you for sharing! The Lemon Lasagna is just delicious. I had it at a party this weekend, everyone was crazy about it. I love to hear that! It’s always a hit around here 🙂 Thank you so much for sharing! This is amazing! I have two very picky eaters here and it was inhaled. So good. The only sad part was that we don’t have lemon Oreos in Canada so golden it was. Thank you! May I share this link on Facebook? Can you freeze this? It sounds awesome. Any chance these recipes can be prepared using sugar- and/or fat-free ingredients? I’m an overweight diabetic! I think marsapone would be a great substitute for cool whip. 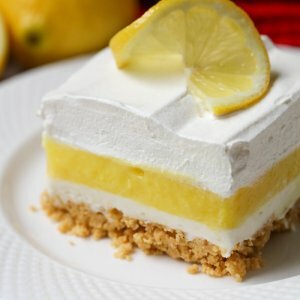 Has anyone made these and added some lemon juice or lemon extract to the cream cheese layer? And is the butter really necessary in the cream cheese layer? Thanks in advance for any help. I’m dying to make this! Can’t wait to try the Lemon Lasagna. It is so refreshing & good! I hope you like it! 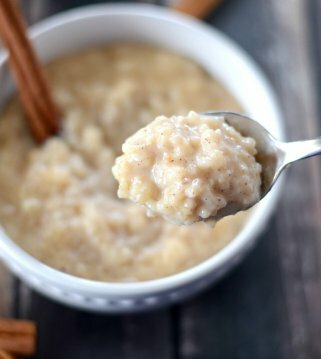 I used 2% reduced fat milk and mixed it with the instant pudding and I could not get it to thicken at all – came out very soupy like some others have mentioned. Do you need to actually follow the directions on the pudding box and boil the mixture first and all that? Or do I need to use whole milk instead? Any help would be greatly appreciated, thanks!! That shouldn’t make a difference. I’m sorry it was too soupy. Did you use 2 boxes of pudding & just the 3 cups of milk? No, you don’t follow the directions on the box. I hope we can figure out why it was soupy! The recipe calls for two pkgs. of 3.9 oz. 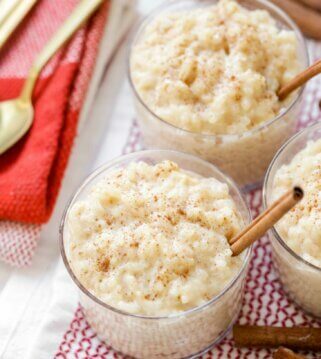 lemon instant pudding. In Wisconsin, pkg. size is now 3.4 oz., which equates to 1 oz. less pudding mix for this recipe. Thinking it might be too ‘soupy’ if adding 3 c. milk since less pudding mix is actually used, I used only 2-1/2 c. milk (I used whole milk so it would set up nice). Seemed a bit thick spreading it on the cream cheese layer; will see how it turns out tomorrow. Just a note: Pudding mix instructions says to use 2 c. milk per 3.4 oz. pudding mix for pudding so maybe 3 c. milk would set up even if not using two pkgs. 3.9 oz. pudding mix. The pudding box states the pudding will not set if using soy milk. 2% milk shouldn’t prohibit setting but it might be softer set than using whole milk. I have made this yummy dessert on several occasions with someone asking for the recipe each time. I love anything lemony.Thank you for sharing. Needs more tang, I will add a couple Tbsp lemon juice to the pudding mix next time – – it is too sweet otherwise. I just made this for a family gathering and boy was it a hit! No leftovers! Super easy recipe with fantastic results. Thank you for sharing this one! You are so welcome!! That’s why I love this recipe 🙂 Thank you for letting me know! This is a favorite of my dad. To answer some of the other posts, I used the thin lemon Oreos. I was afraid there wouldn’t be enough, so I used 2 packages and kept the melted butter at 6T. Work perfectly. This is definitely a family favorite. Thanks for Sharing! Thanks for sharing that! Hope that helps anyone 🙂 Glad you liked it! I made this recipe but instead Of the pudding I use lemon curd and it is AMAZING! Yay!! Thank you so much for letting me know 🙂 I am glad it was a hit! Those layers are on freaking point! This is the kind of lasagna I am craving ???? Awe, thanks!! This is my favorite! Hope you try it! I am fan of your blog, looks so yummy and I am making lemon lasagna according to your recipe instructions. Thanks for your sharing! You are so welcome 🙂 Thank you for stopping by!! I sure hope you like it! I hope you give it a try 🙂 It is one of my favorites!! My daughter loves this and requests it for her birthday every year! We use gluten free vanilla sandwich cookies and gf vanilla wafers instead of Oreos. Since we don’t have lemon in the crust we add the juice and zest of 1 lemon to the cream cheese layer. That sounds perfect! Thank you for sharing that 🙂 She has great taste! Nice recipe. I love to test this out. This looks cool. Thanks for your sharing the recipe. Hi I was just wondering about the lemon instant pudding ingredient, how did OUTcome up with 7.8 oz when most pudding packages are 3.5 or less? If i were to make this again, i woUid use lemon Pie filling instead Of lemon Pudding. It was too sweet. The tartness of the leMon pie filling would have been delicious! That would be a great option 🙂 Thank you! Nutrition facts waAaaaaay off……..7122 calories per serving???? No excuse needed for me 🙂 Glad you liked it! delicious recipe however the stick of margarine is missing from your recipe. PLEASE tell me the values on the bottom of page 2 are a misprint! 920% of your daily value for sat fat??? These cannot be right. Please, let them be very wrong. 7122 calories per serving?!?! Please tell me that isnt right! 🙂 i really want to make this … But not with a 2 lb instant weight gain! Do we have to remove the filling from oreos before we crush them???? Nope 🙂 Sure hope you like it, as much as we do! I have a diabetic grandson who would love this but the total carb count is very high. Is the carb count for the whole lasagna? Would like to know carb count for 1 piece. Hi Lil Luna, the recipe reads 7.8 oz instant lemon pudding, I’m not finding a 7.8oz box. Is it supposed to be several boxes or just one of the small boxes 3.4 oz box of pudding? Thank you for your clarification. Just use the 2 3.4 ounce boxes 🙂 Sorry, for the mess up! Enjoy! Hi there..Just wondering how far in advance do you usually make your lemon lasagna? if i stabilize my whip topping and make it tonight would it still be amazing tomorrow? Thanks for the recipe!!!! I have only made it the morning of & it was still good. I think it should be ok! Made mine gluten free by subbing 2 pkgs Schar Shortbread cookies and upping the butter to 1.5 sticks. Also subbed in Almond milk for my lactose intolerant family members. Couldn’t find 7.8 oz lemon pudding, used three 3.4 oz lemon puddings. Almond milk needed more pudding mix to set. 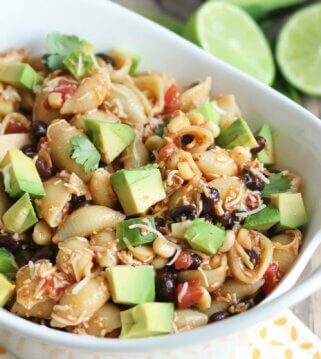 Overall pretty easy and delish! Perfect! Thank you so much for sharing that! Hope it helps those looking for gluten free!